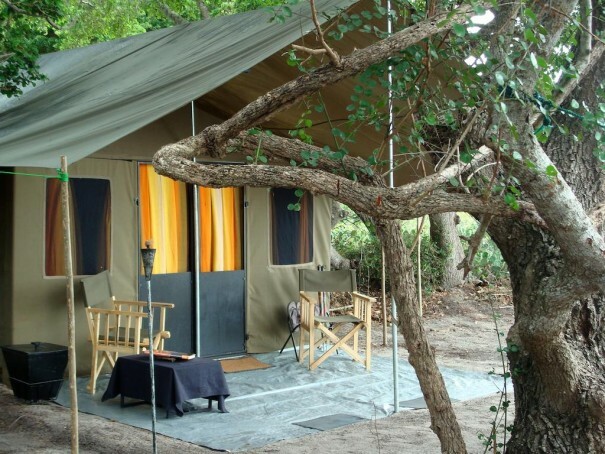 Your wildlife accommodation may be the last on your checklist of things to do but it is surely an important one. 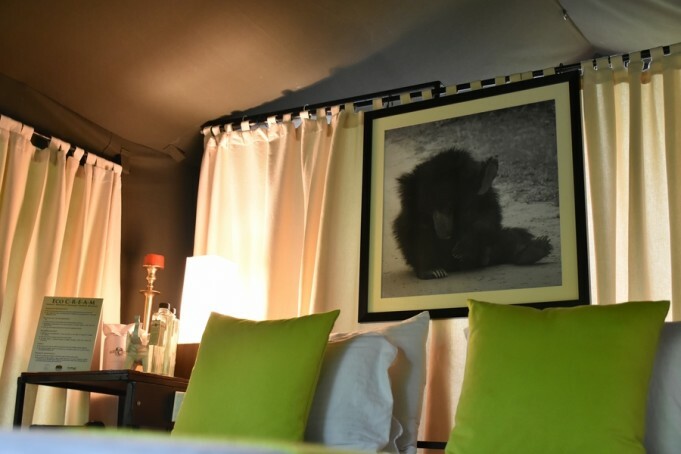 We want you to choose the best wildlife accommodation in Sri Lanka for you to hibernate in before heading back out into the wild. We recommend that you choose from one of our wildlife hotels in Sri Lanka that are specifically designed to enhance your wildlife safari experience. 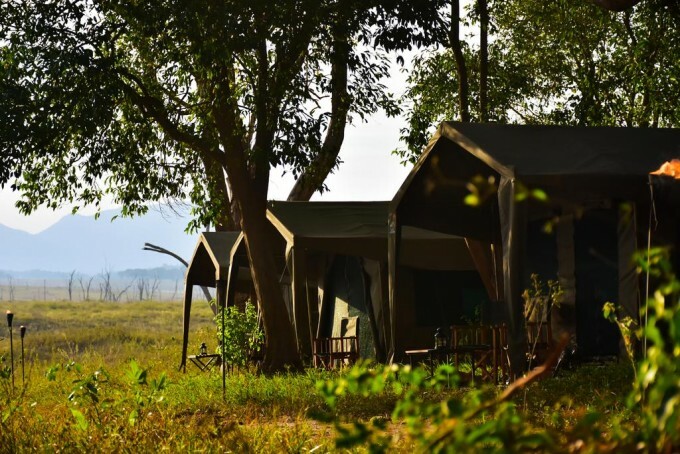 Located close to the Yala, Udawalawe and Wilpattu national parks the luxurious wildlife hotels will make you feel like you never left the wilderness. The quality and setting of our wildlife accommodation is first class. You are destined to get five-star treatment and Sri Lanka’s wildlife all wrapped up like a neat Sushi roll. Even the little things are taken care of. We have the most excellent resources for wildlife accommodation that would meet your exact requirements. So don’t hesitate to disclose your every need to us as we wait to serve you. It is essential when considering Yala safari accommodation options that you choose the one that minimizes your travel time so that you are able to spend the most amount of time on safari drives. 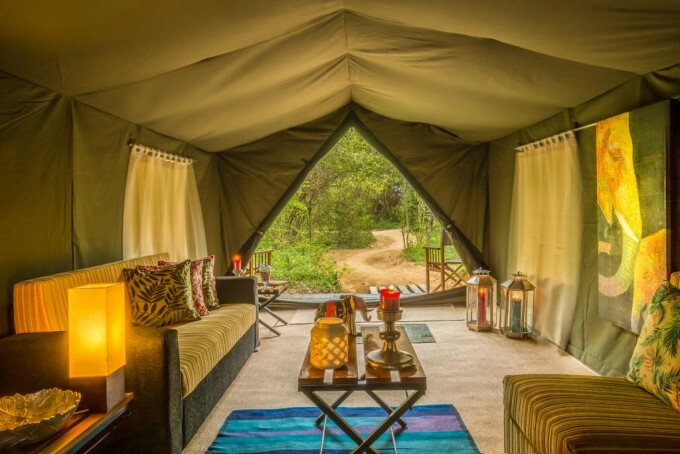 With Big Game Safari camps you will be located outside the park within a 20-minute drive to the entrance in a semi-wilderness location just behind the Nimalawa sanctuary. 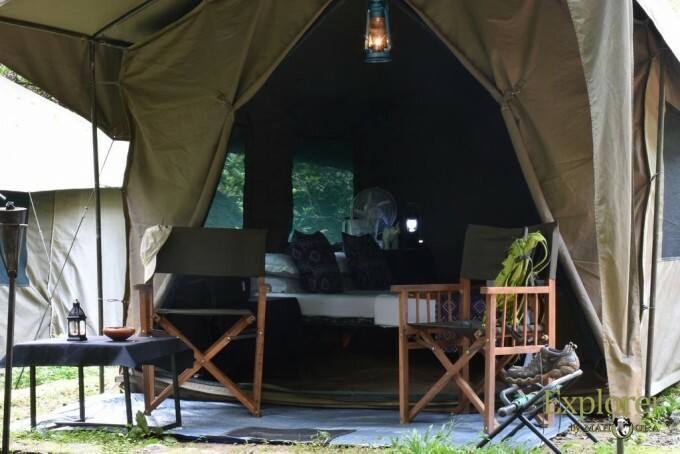 Located just bordering the Yala National Park in a beautiful wilderness setting, with easy access to the less-crowded Katagamuwe entrance of Yala via the sacred city of Katharagama, this enjoyable, yet affordable Yala Accommodation option offers you a great deal in a Yala Safari. 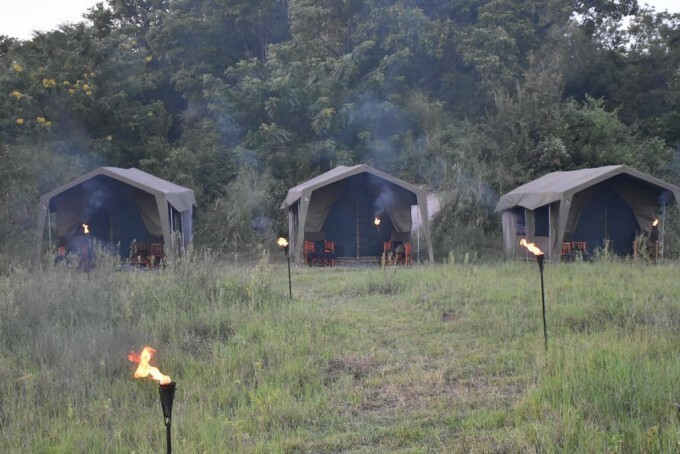 2 air-conditioned rooms with 6 single beds each (3 bunk beds) and another 2 air-conditioned rooms with 8 single beds each (4 bunk beds) providing accommodation, for 28 safari explorers. Away from the main building, we have a separate individual air-conditioned cottage that offers single / double / triple or family accommodation. We offer unlimited free Wifi in the common areas. The spacious outdoor area of the Funky Leopard Safari Hostel has quite a few hangout / relaxing spots with hammocks, etc. 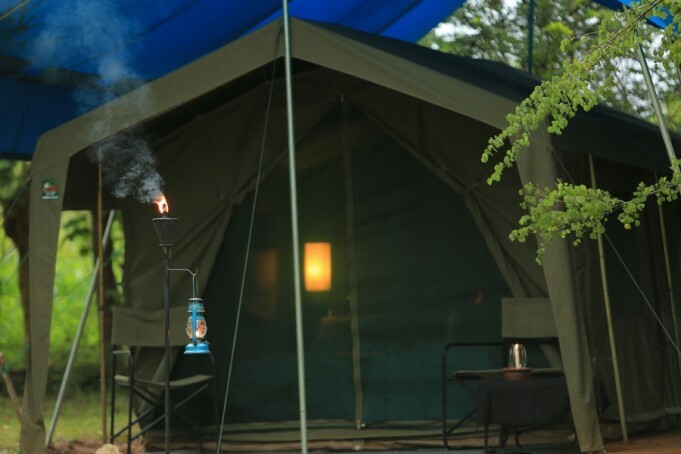 Located on the eastern border of Udawalawe National Park and overlooking a lake, Big Game Camp Udawalawe features tented accommodation with modern comforts including a private bathroom.The campsite is a 30-minute drive from the main entrance of the park and a 45-minute drive from the Elephant transit home. Each fan-cooled tent can be sealed and features raised beds with mattresses, pillows, bed linen and attached, partitioned bathroom with shower and toilet. Towels and free bottled water for meals are provided.Safaris, airport transfers and laundry services can be arranged at an extra charge. 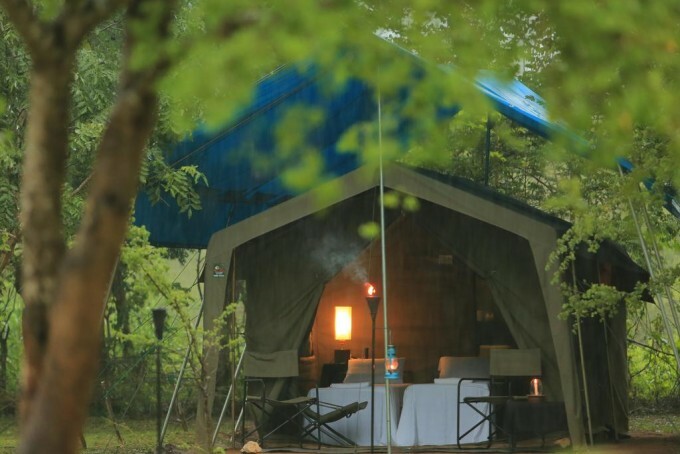 Located on the border of Wilpattu National Park, Big Game Camp Wilpattu offers spacious tents with an attached partitioned bathroom. 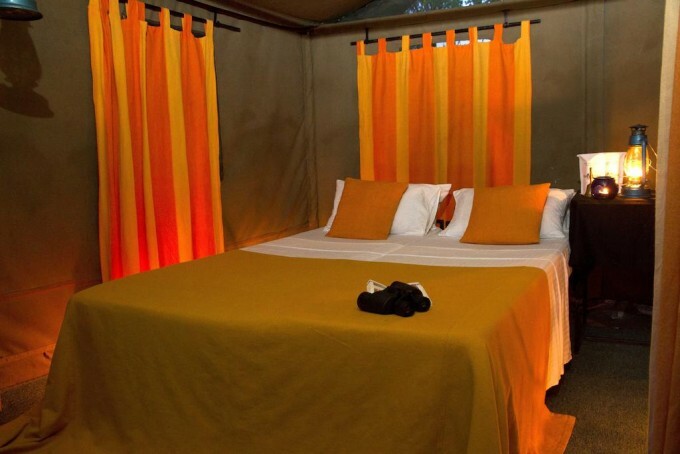 Surrounded by wildlife and nature, the camp-site is 7 km from the park’s entrance and just 500 metres from the park's boundary.Each tent can be sealed and features a raised bed with mattress, pillows, bed linen and towel are provided. There is also a seating area, desk and free bottled water for meals. Private bathroom includes a shower and toilet. Safaris, airport transfers and laundry services can be arranged at an extra cost. Céu Ceylon is located amidst the salty lagoon and beautiful private beach in the little town of Kalametiya, south of Sri Lanka. Just 214 kilometers away from the western commercial city of Colombo, Céu Ceylon is the perfect tropical getaway from all the hustle and bustle of your busy life. 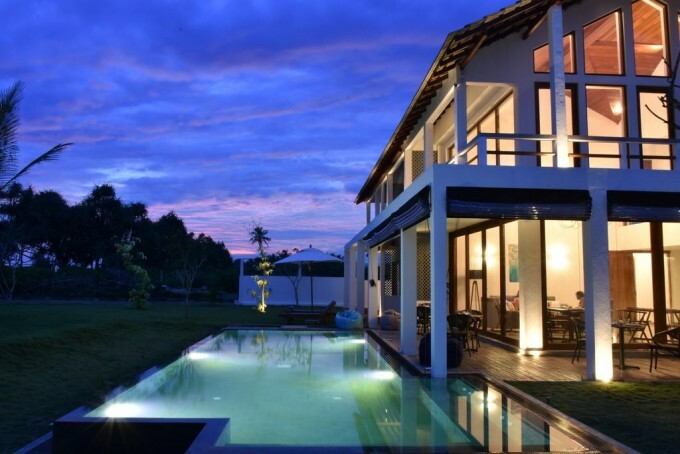 The villa property is just a 3.3-hour drive from Colombo, 3.5-hour drive from the airport, a 1.5-hour drive from Matara and just half an hour away from the equally beautiful coastal town of Tangalle! Furnished with locally made home wear, the villa houses 5 bed rooms; 4 beach view rooms and one beach view suite. The interiors of the villa along with the rooms are furnished in colors that reflect the green, blue, turquoise and brown hues of the ocean and the sandy beaches; paying homage to the secluded private beach just a few steps away from the property’s lush green garden. 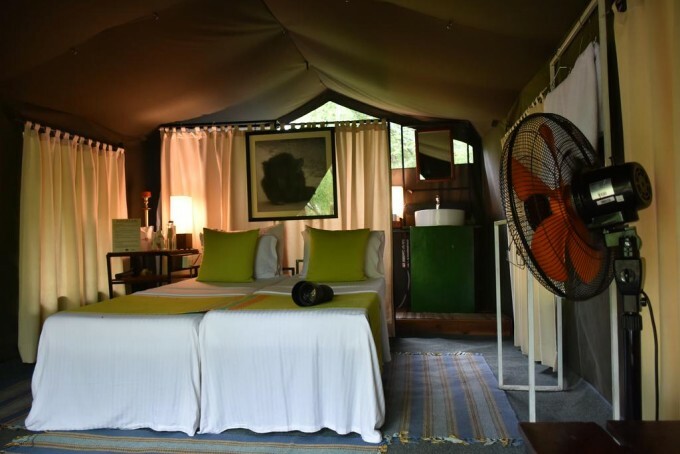 Living in the Explorer by Mahoora Camp in Wasgamuwa National Park is refreshing to both the body and soul. 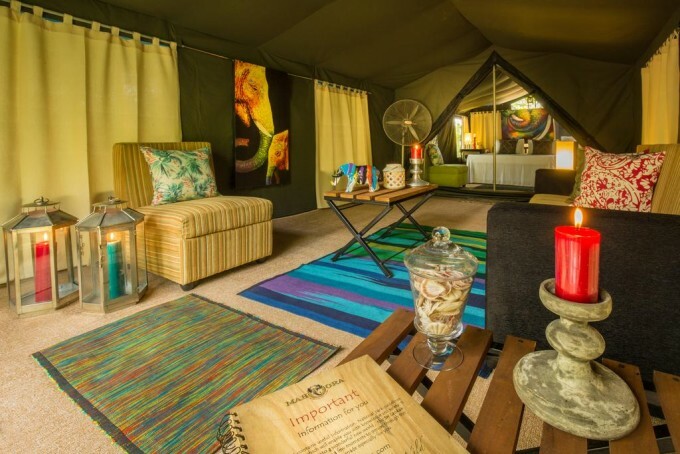 The Campsite itself is located by the side of a gently flowing stream which creates a genuinely therapeutic effect that carries away any feeling of fatigue. Trees of varied heights and sizes are a wonderful setting for an artist's masterpiece. They are also home and playground to numerous bird species, as they melodiously sing away. Explorer by Mahoora is a highly unique and immersive experience of living with untamed Sri Lankan wildlife inside National Parks and Nature Reserves across the country. 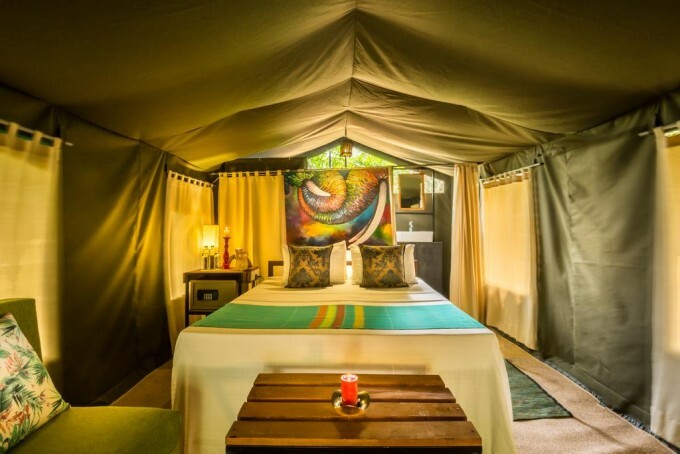 Our Private Tented Safari Camp Experience in Gal Oya isolates you in the grasslands of the 25,900 hectare Gal Oya National Park. 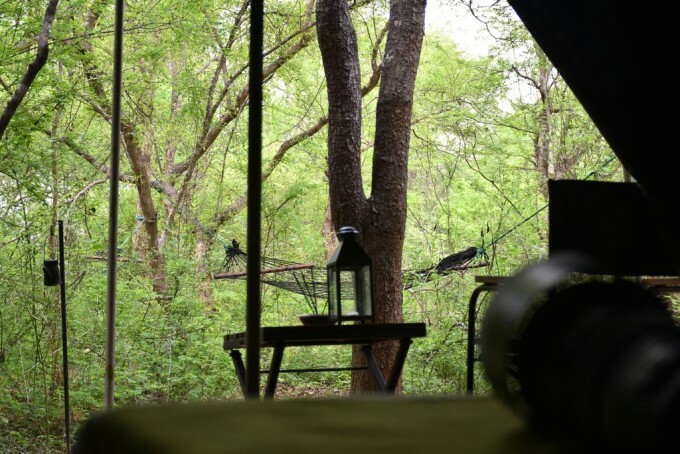 Divided between an evergreen forest and a dusty savannah, you are invited to live amongst swimming elephants and elusive leopards, plus, over 180 other species of mammals and birds. Besides the wildlife, Gal Oya is home to an old Veddha clan. Veddhas are the indigenous people of Sri Lanka and this tribe still lives in the Nilgala area of the Gal Oya National Park. Explorer by Mahoora is a highly unique and immersive experience of living with untamed Sri Lankan wildlife inside National Parks and Nature Reserves across the country. 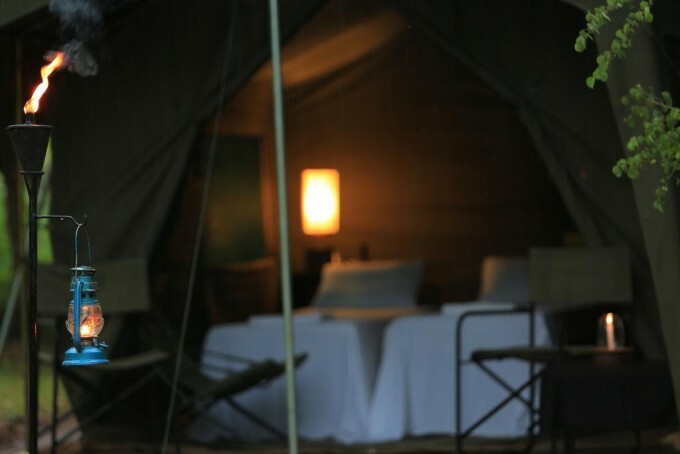 Our Private Tented Safari Camp Experience in Kumana isolates you in the wetlands surrounded by dry tropical thorn forest. Surrounded by 20 plus lagoons and tanks contributing to fascinating bird life, you are likely to find yourself smitten by the beauty of the park and its diversity including the elusive leopard, the sloth bear and the elephants who roam around. Covering an area of slightly more than 6,200 hectares, the Bundala National Park is located in the southern district of Hambantota in Sri Lanka. It falls within the dry zone and its climate can be described as hot and arid. The vegetation is predominantly of a dry thorny scrubland variety which provides a natural barrier to the wind and the terrain is flat with sand dunes that border the coastline. The Park features a series of lagoons which are an important habitat for wintering water birds. It is due to this fact that Bundala was declared Sri Lanka's first Ramsar wetland. The best time to visit the Bundala National Park is between August and April when shore bird numbers can reach as high as 20,000. There is no better place in Sri Lanka for a bird enthusiast than the Sinharaja Rainforest. 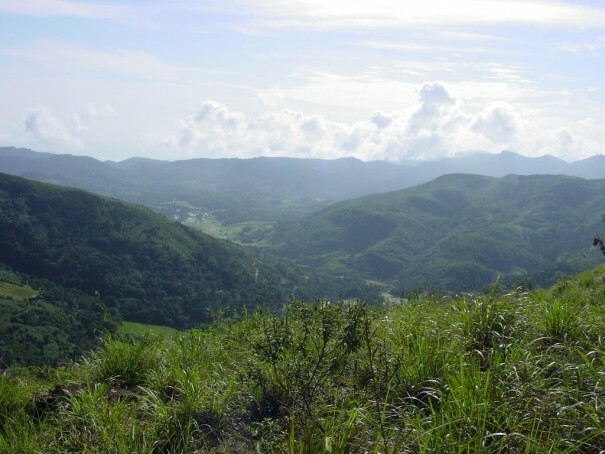 This virgin rainforest is a designated UNESCO World Heritage Site and Biosphere Reserve, due to the high degree of endemism found in the plant, bird and reptilian life that call it home. Explorer by Mahoora is a highly unique and immersive experience of living with untamed Sri Lankan wildlife inside National Parks and Nature Reserves across the country. 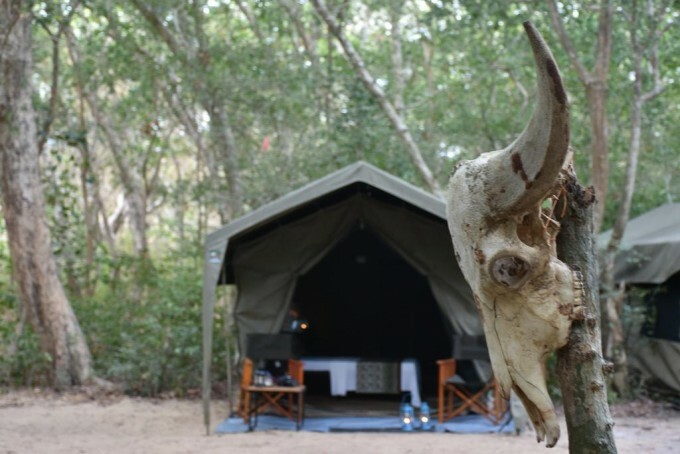 Our Private Tented Safari Camp Experience in Knuckles Mountain range is a surreal escape from city life - to live and breath the fresh mountain air.